(Italiano) Camera Matrimoniale a partire da € 24,50 a persona. Cosa aspetti? chiama subito!!! SkySleeping bed and breakfast virtual tour. OFFER OF THE DAY !! Sleeping Sky was founded in 2006 as a bed and breakfast in 2010, after some improvements, it becomes a guesthouse, keeping intact its original characteristics and is still the ideal place to stay elegant, exclusive and comfortable. 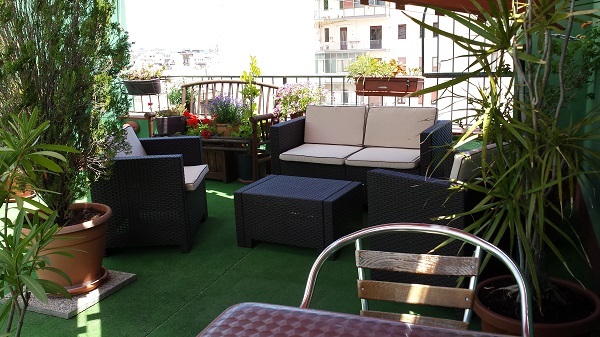 Located in the heart of Palermo, not far from the Palermo Tribunal Court and Maximum Theatre, this b&b is on the attic floor of a completely renovated 1950’s style building. Sky Sleeping is a structure of type three-star guesthouse with modern facilities typical of the b&b. It has nothing to envy to the best hotels and bed and breakfast and and offers five beautifully furnished rooms, fully equipped with everything you could possibly need. The rooms are complete with en-suite bathroom, air-conditioning, television, mini bar, soundproof walls, wireless internet access and much more in order to ensure you have a comfortable and relaxing stay. This b&b also boasts a lovely terrace where, on sunny days, you can eat your breakfast whilst admiring the magnificent ocean and city views. Sky Sleeping also provides you with a variety of guided tours to help you experience the best that Sicily’s capital city has to offer. Tours are available for exploring the best local restaurants and beaches, and for day trips which, from our guesthouse, take you to museums and other major tourist attractions in Palermo. So, what are you waiting for? Just call us or write us an email in order to book now! Attention! 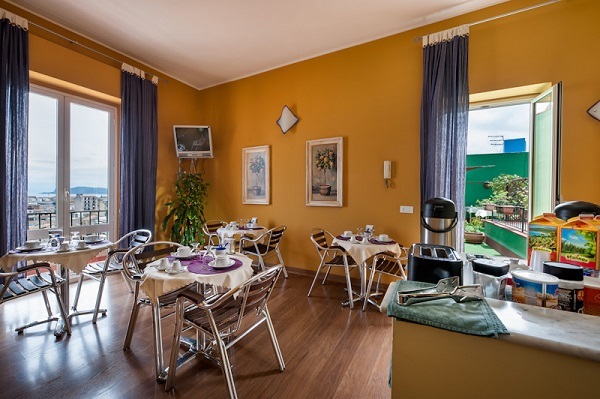 ours is a B & B close to the Clinic Macchiarella Demma Clinic, Clinic Noto and other private clinics contracted. Click here for more details. Stay just steps from the court of Palermo, you can get there on foot in 3 minutes. Special rates for lawyers and judges away to Palermo. Click here for more details.